Do you work for a financial institution? If so, that’s fantastic! You are a critical partner in this important effort to help hardworking employees avoid predatory lenders, build credit, and begin to save. The Income Advance loan is a proven business development opportunity, and an impactful way to deepen your ties to the community. The Filene Research Institute and the FINRA Foundation have created research-based resources designed to help financial institutions work in partnership with employers to launch the Income Advance loan. (Note that the loan program is known more broadly in the financial services industry as the Employer-Sponsored Small-Dollar Loan). 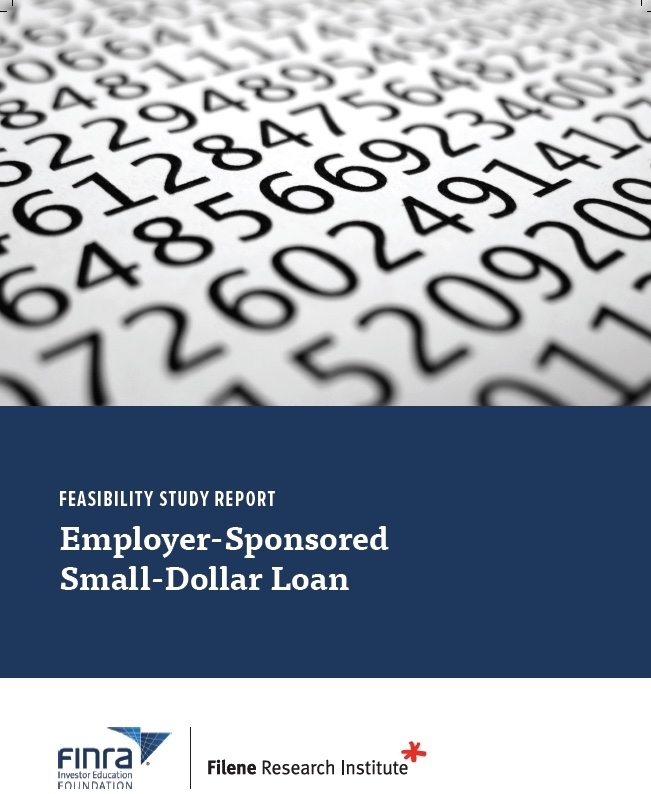 Includes research findings and an analysis of the demonstrated impact of the loan on employers, borrowers, and financial institutions. Provides details on program design features, guidance on compliance issues, ways to measure success, and supplemental documents, including a sample memorandum of understanding between a financial institution and an employer, a loan application, employer and member surveys, and a performance tracker. Why get involved with Income Advance? If you’re curious to learn more, we highly recommend you visit the Filene’s website and explore the resources they’ve created for financial institutions. Don't take our word for it, hear from a financial institution that does it! Jeff Smith, Senior Vice President of Lending at North Country Federal Credit Union explains the benefits of Income Advance from the financial institution perspective. If you’re curious to learn more, we highly recommend you visit Filene’s website and explore the resources they’ve created for financial institutions.